Here are a couple of pictures of my Omega 2 powered robot. I'm using the PWM Expansion on the Power Dock, and it's working not too badly. On the proto board is basically this circuit, one for each motor and using the PWM signal output instead. I had to switch the 270 ohm resistor for a 100 ohm resistor before the motors would move...not sure why? I also had trouble with stability at first. The Omega kept locking up/crashing and wouldn't come back after a few power cycles. Other times it would work perfectly. I ended up adding 4xAA batteries feeding the PWM Expansion through the barrel connector and that seems to have helped (fingers crossed). Note that the PWM controller keeps its last known setting if the Omega2 crashes/reboots, so I had a runaway robot a few times. Still tinkering, but I thought I would share with all of you. Right now I'm just using pwm-exp from the command line to control the motors, working on a Python script to run sequences and/or listen for UDP packets to control it with. 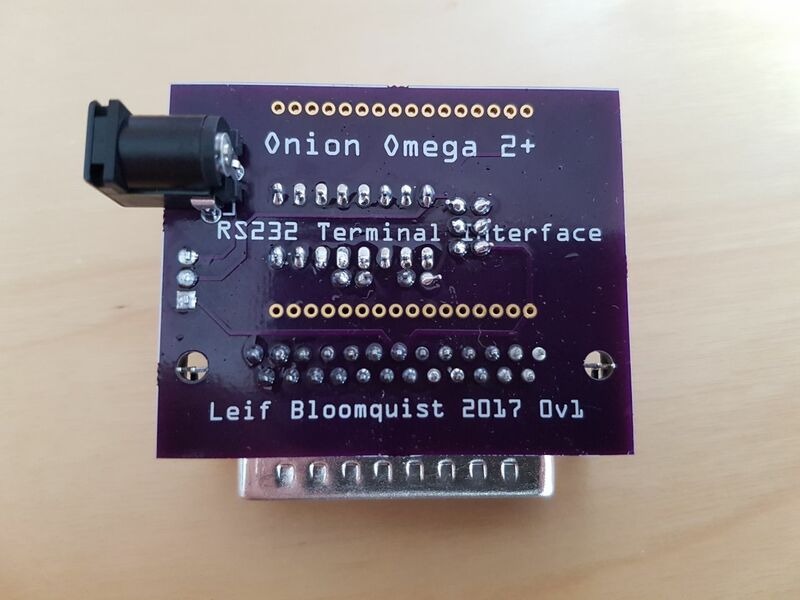 As a followup to my Commodore 64 Omega2 Interface, I've designed a small and simple custom board that allows the Omega to be connected to any "retro" computer that has a DB25 RS232 port. 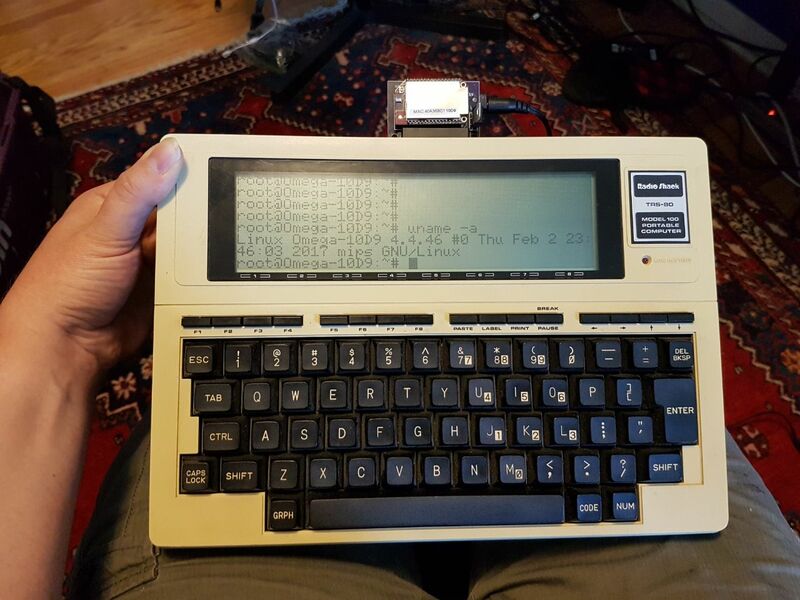 As you can see, it works beautifully on a WYSE terminal in VT100 mode! 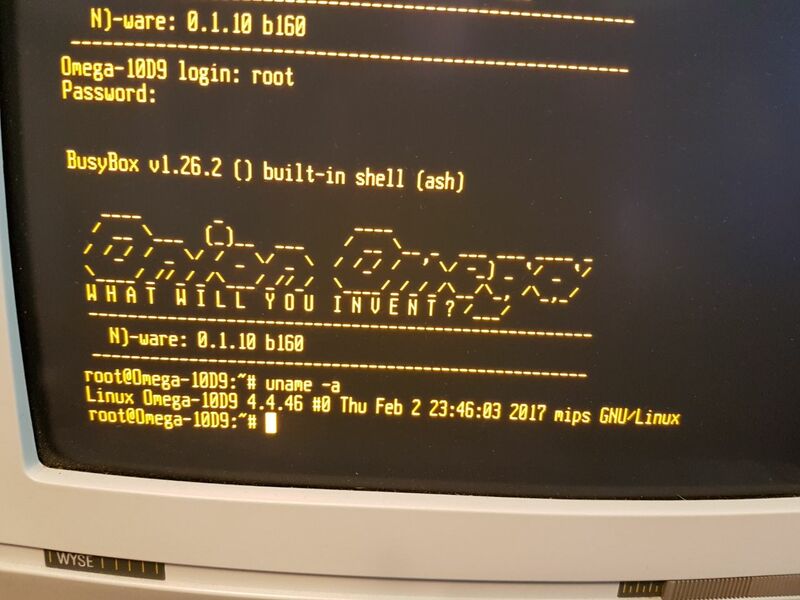 I also got it working on a Tandy m100, at a blazing 300 baud! 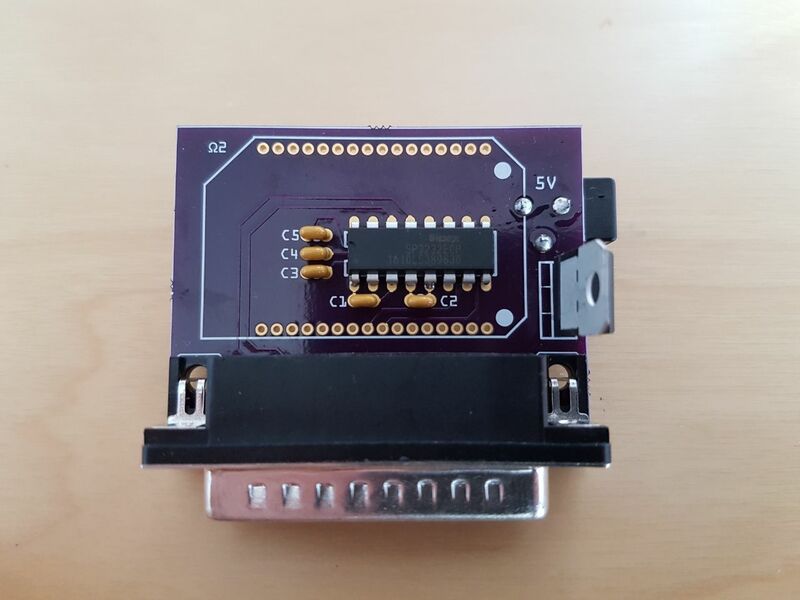 Way back in August last year I had an idea to "supercharge" my Commodore 64 with the Omega 2(+). 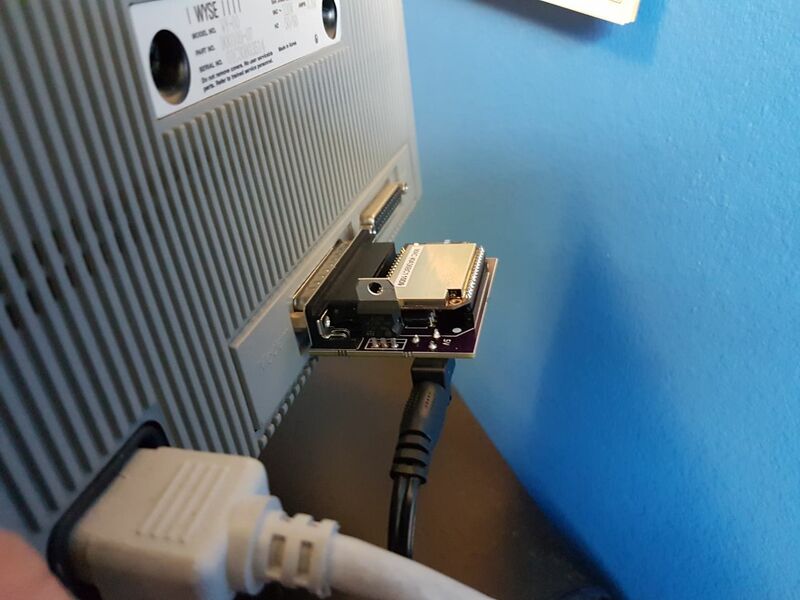 This would require a second serial port, so the addition of ttyS1 on the Omega 2 worked out great for this. 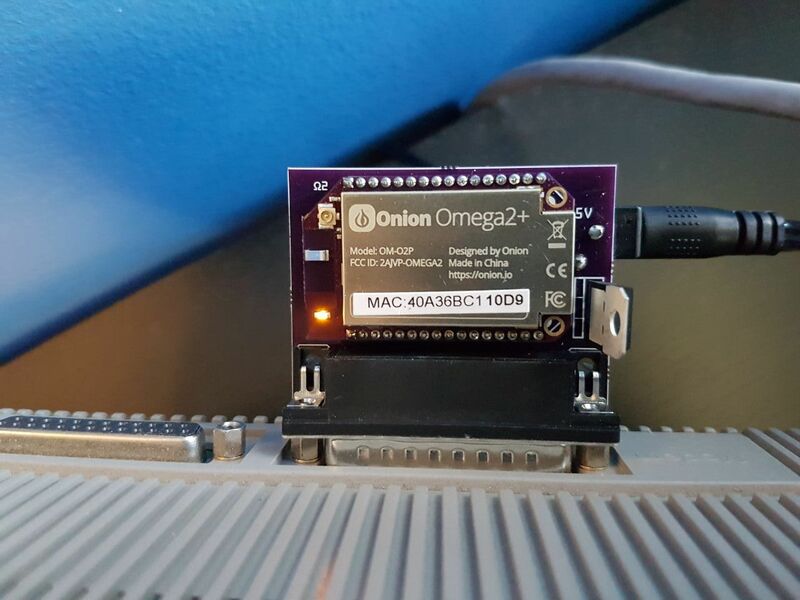 RE: Power Bare Onion Board? I tried this yesterday with no success. I supplied 3.3V to the Omega through an MCP-3302E which should have provided the correct 3.3v and up to 250 mA, which should be sufficient? Any issues with this? There's some conflicting information in this thread, is there a definitive list of the minimum connections? There are two RST pins, RSt and FW RST, do they both have to be connected to GND? 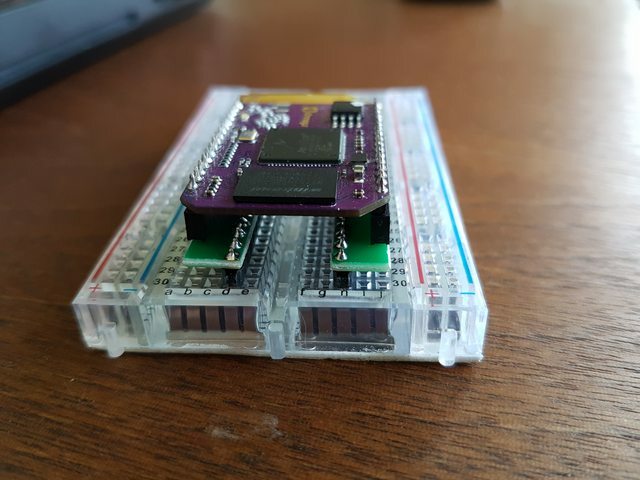 Do I have to connect both GND pins? @Stephen-Tunney Ah, yes the 16-pin one was pretty much exactly what I had in mind (though both on the same board). Great find! 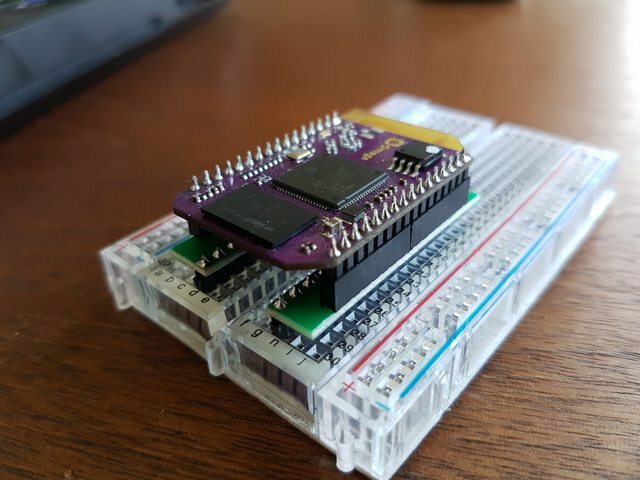 RE: Analog input stackable shield ? Any utility ? Nothing constructive to add except to add my voice to the desire for an Analog Expansion board. Definitely a missing piece. Regarding using alongside the OLED, the ads1015 uses I2C as well, so can they co-exist on different addresses? So the Omega (2, 2+) have 2mm pitch on the pins, instead of the 0.100" (2.54mm) pins that are used on all common breadboards and prototyping boards. 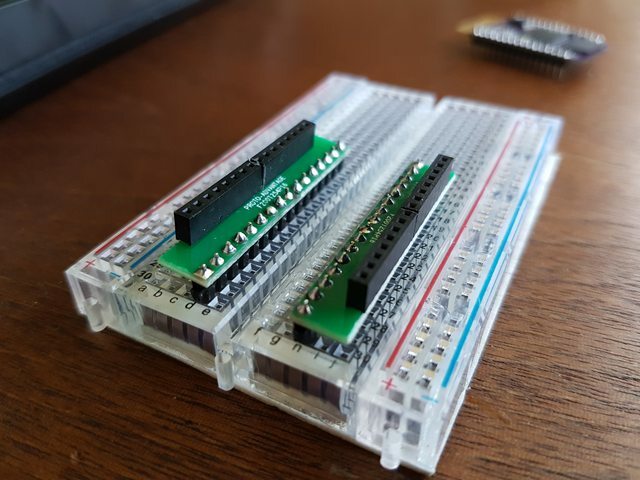 So it's not possible to directly place the Omega on a breadboard, which would be handy in some situations. 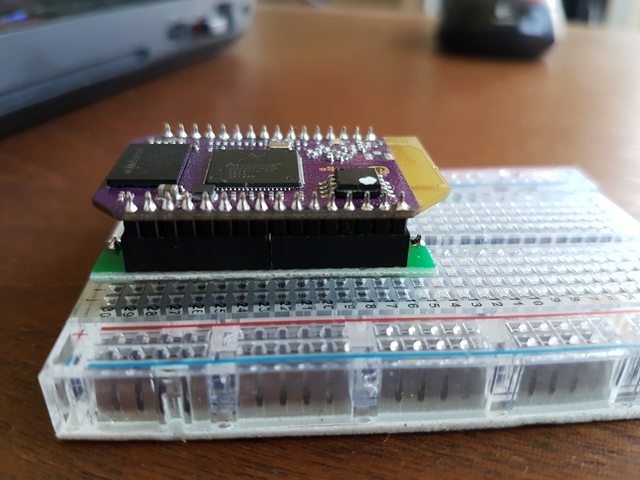 An adaptor would be excellent - something analogous to Sparkfun's XBee breakout which has the same pin spacing issues. Are there any plans to provide such a thing, or is there a third-party one out there? If not, I'm tempted to whip one up quickly - it's a simple 1:1 pin mapping. i added remote control from a C# application and LEAP Motion (!) via UDP. "This moves the robot forward"
print "Moving forward at " + str(speed) + "% for " + str(seconds) + " seconds." "This turns the robot left"
print "Turning left at " + str(speed) + "% for " + str(seconds) + " seconds." "This turns the robot right"
print "Turning right at " + str(speed) + "% for " + str(seconds) + " seconds."